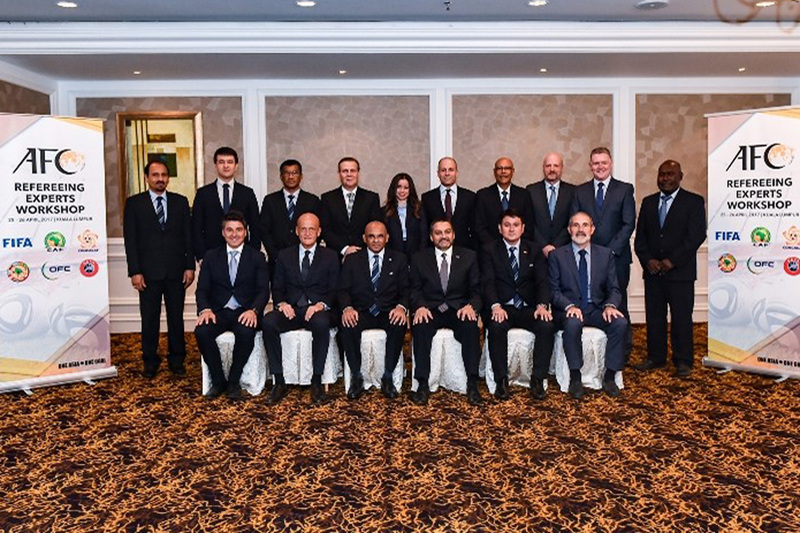 Joining heads with some of the biggest names in world refereeing, OFC Referee Development Officer Neil Poloso represented the region at the inaugural Asia Football Confederation Referee Experts Workshop in Kuala Lumpur, Malaysia, last month. Invited by AFC to collaborate with other leaders and share the unique characteristics of match officiating in the Oceania region, Poloso concluded the two-day workshop both inspired by the achievements of his fellow workshop attendees, and proud of the great strides Oceania has made in referee development. “The workshop was an historic event,” he said. Discussions with representatives from other confederations allowed Poloso to explore new approaches to similar existing programmes in the Oceania region, but also exposed him to new programmes that could fast-track OFC’s already booming referee development. “This workshop gave OFC the opportunity to examine and share our current practices and programmes with the global refereeing family and learn new practices and programmes from them,” he said. “The presentations, sharing and discussions were based around the structure, education and development programmes, special projects and competitions of each confederation which in general were quite similar,” he said. Although he’s excited to see the impact of these new ideas and approaches in the region, Poloso believes the relationships developed at the workshop will be the most pivotal to the future of refereeing in the region. “Having the opportunity to meet the refereeing experts from other confederations and FIFA and being a the environment of sharing, learning and assisting each other to grow together in refereeing family has definitely been the most valuable part of this experience,” he said.